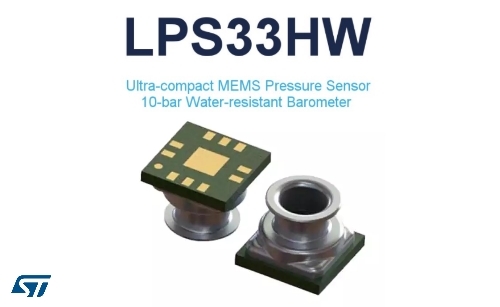 http://www.st.com/en/mems-and-sensors/lps33hw.htmlThe LPS33HW is an ultra-compact piezoresistive pressure sensor which functions as a digital output barometer. The device comprises a sensing element and an IC interface which communicates through I2C or SPI from the sensing element to the application. The LPS33HW is available in a ceramic LGA package with metal lid. 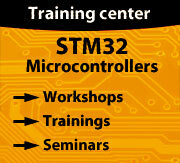 It is guaranteed to operate over a temperature range extending from -40 °C to +85 °C. The package is holed to allow external pressure to reach the sensing element. Gel inside the IC protects the electrical components from water.